The easy way to get to the top of the mountain offering a beautiful view of small islands and the coast is, of course, the ropeway. However, if you take a return, you are missing out on many scenic spots and small mountain temples. 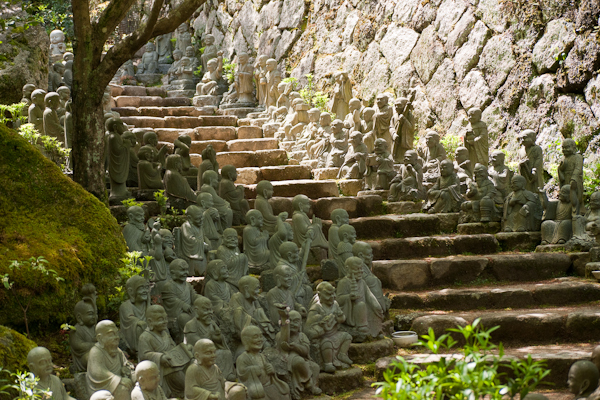 In this little temple hundreds of small Buddha statues line the way.